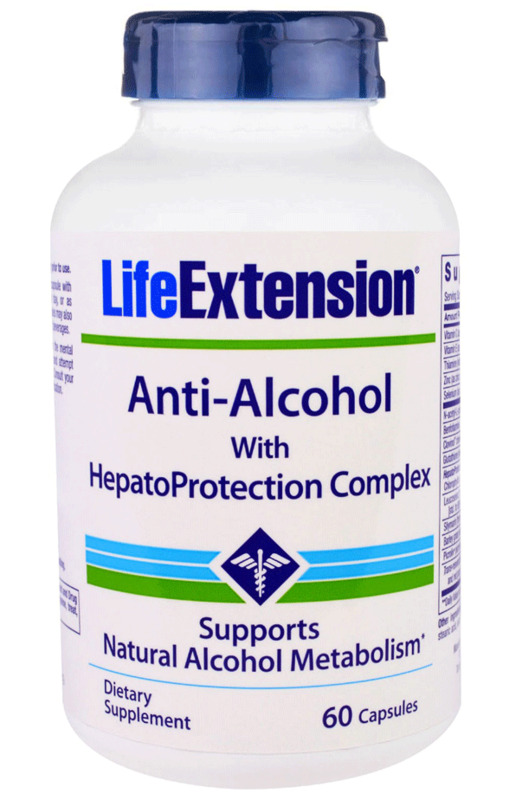 Consuming alcoholic beverages results in the generation of free radicals. 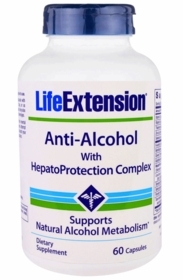 People who drink a lot of alcohol often suffer because of massive free radical-induced cellular damage. Alcohol-induced free radical assault can wreak short-term havoc throughout the body, and these same damaging free radicals are associated with accelerated aging. Updated formula with Clovinol®. Serving size for the old formula was 6 capsules – now it is 5 capsules. Contains soybeans. Contains rice. This product contains NO milk, egg, fish, peanuts, crustacean shellfish (lobster, crab, shrimp), tree nuts, wheat, yeast, gluten or corn. Contains NO artificial sweeteners, flavors, colors, or preservatives. Leucoselect® is a registered trademark of Indena USA, U.S. Reg No. 2294439. Picroliv® is a registered trademark of Sabinsa Corp.
Take one capsule with each alcoholic beverage, or as recommended by a healthcare practitioner. Caution: This product does not prevent, reduce or modify any of the mental impairment effects that alcohol induces. Consuming alcohol and taking this product will not allow a person to safely operate a vehicle or any other equipment. Individuals with in-born errors of copper metabolism (e.g. Wilson's disease) should avoid daily, chronic use of this product. Do not drink and attempt to drive.